Why would you search for ways to rid yourself of extra belongings you have no room for in your new home? After all, there are far better and more efficient solutions. One such solution would be the use of storage facilities NJ. This is a sure way to ensure that any valuables you currently have no need for are kept safe. New Jersey Transport is well-aware of this fact, which is why our moving services NJ include long and short-term storage. All you need to do is reach out and book your storage unit as early as possible. Contact NJ Transport and get access to the best storage facilities NJ has to provide. All customers have the ability to store their items with us for as long as they need them in stored. We offer each customer 30 days of free storage with every estimate and they can extend that time period as they please for an additional time-based fee. All storage units are climate-controlled and secure for the utmost safety. If you would like include storage as part of your moving estimate you can do so at any time during your reservation process and even after you place your reservation. As long as it is requested prior to your pick up. We are among those moving companies NJ that operate with the belief in the importance of full-service. Once we pick up and place your items in storage, we will deliver them to your final destination upon your request. Whenever you are ready to receive your items, we schedule your delivery accordingly and update you on your delivery date. We usually ship items right away once delivery is requested and are always on time as expected. Our storage facilities NJ accommodate all your needs and address any concerns you might have about the well-being of your valuables. Not sure what we mean by this? Allow us to offer some additional insight and then decide. How do we accommodate storage units Bergen County customer needs? Just as the belongings you have are diverse in size and fragility, our methods to keep them can differ. There are possessions that are small and easy to misplace, and there are those that are big and hard to fit into a storage space. You might have items that require being kept within certain temperature boundaries. Or you might have extra-fragile and valuable items that require assisted packing and around-the-clock control. These are all valid scenarios, but not all storage facilities NJ can claim to have the ability to handle them. However, New Jersey Transport is not one of those companies. We are fully equipped to handle any such requirements that you might have. All we need is to have you contact us and provide with the accommodations that you need for your possessions. You can leave the rest to us. New Jersey Transport is a client-friendly local moving company NJ. This means that our main goal is to provide customers with the utmost perfection in relocation and warehousing services. And this is a trait that each of our employees has as well. As a result, what you get is a staff of courteous moving professionals who make it their goal to offer the best storage services in New Jersey. Our employees do everything by the book to ensure the best possible storage services NJ you can find. So if you are having doubts of handing over your belongings for safe-keeping to complete strangers, contact us and learn more about NJ Transport offers. Once you get to know us and our services, you will find any doubts you might have gone. Finding the best storage units Bergen County has to offer means little if you are unable to afford those very same units. On the other hand, relying on the cheapest storage facilities in New Jersey puts you in risk of fraud. This is why you need the ideal middle ground, and we offer just that. In addition to that, we give our customers the opportunity to use our storage facilities NJ for a period of 30 without any fees. Yes, you read it right – 30 days, completely free of charge. When we say client-friendly, we mean it. This is why we would not leave you depending on our word only. All storage units Bergen county we offer and provide can be backed-up by licenses and reviews from other clients. And when it comes to storage of your valuables, we offer the possibility of insurance. That way, even if an incident does somehow occur, you will have coverage provided by New Jersey Transport. When moving, you will be asking yourself plenty of questions and you will have a lot of doubts. Most of all, there will certainly be a lot of chaos around you. The moving process to your new NJ home will not be that easy. But for you to find the best storage companies New Jersey is the best solution in the beginning of the adjustment process. Storage NJ is a great option in many cases – when you have too many things at home if you are moving there temporarily, etc. But before you get to find the ideal storage facilities NJ and organize your stuff, you should know how to prepare your belongings for storing. Preparation and planning is the most important part of any undertaking, storage included. 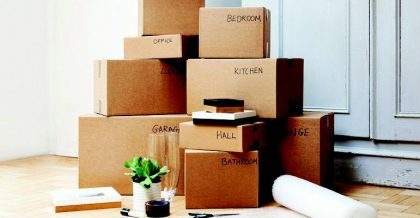 If you are one of the thousands who has had to pick up all your belongings and move to a new location, these moving tips and tricks could be life-saving! So, you are moving to New Jersey and you have already found your new house. Now it’s time to prepare to move your home. The first thing you should do is to get organized early on. This is the first step in this stressful and turbulent process. Figure out the number of days before moving. Plan on to use these days to avoid any last-minute chaos. The point is to manage to make a smooth and quick move to New Jersey. And the best way to succeed in this is to hire movers and packers you can trust. Also, you should figure out how you will move. Make sure to get all available estimates and find the best storage facilities NJ on time. Make a packing checklist. This will make all the difference and make your moving house really easy. Make a list of all the articles you place in each box. You could label and number them by room or by category. Make sure you pack them in a way that will make unpacking easier. This is one useful trick for successful packing and with no mess at all. As long as you plan on doing the packing for storage, we advise that you make a plan of action, to save time and energy. Develop a packing strategy. You should organize your belongings having in mind the moment you will use them again. For example, have one bag with all necessities you will need on the day of the move. Make sure you pack electronics like your smartphone or laptop with cables. Also, if it’s summertime, pack all your winter things separately so you do not have to sort them again when unpacking. De-cluttering – sell or donate. If you have more things than you need or know, minimize! Separate all your things in these 3 groups: special items for sale, useful belongings for donation and family heritage for gifting to friends and family. You can organize a yard sale or put your belongings on sale online. For all the things you need to take with you, you need to make sure you have boxes that are good enough to pack them in. Find a location- First thing you need to do is to find the location that fits you and that is near your new Bergen County home. There are lots of different storage options that we offer and that are available to fit every situation and budget. Choose a size- This step depends on how many personal items you have for storing. Consult your inventory and choose between larger and smaller storage units. There is a variety of features in each storage unit, so you need to find the right one for you. Reserve-Once you have found the storage facilities NJ that suit you, fill out the online reservation form to hold your unit and lock in your price. Pack- Use our packing tips to pack like a pro. 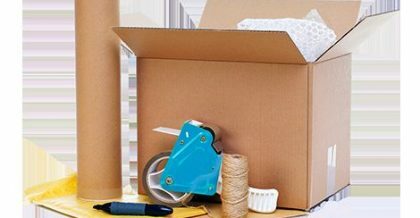 Our packing & crating services NJ ensure that everything will reach your new venue safely and quickly. Move in- Bring your things to the property, meet your manager and sign your lease. Take advantage of our helpful New Jersey storage tips when loading your unit. Make sure to put all bolts and screws in sealed plastic bags and label them accordingly– This is one of the most useful tips for packing things for storing we can advise you. Categorize and label your boxes, so as not to lose track of them afterwards. 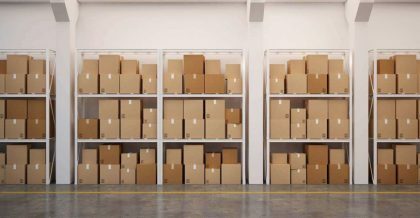 Get the packing materials for storage facilities in Bergen County that you will need. That is: padded blankets, shrink and protective wrapping, strong cardboard boxes and crates of various sizes. Don’t forget the tools to take apart appliances and furniture if needed. This should be the first thing on your checklist when preparing items for storage. Machines like a fridge or freezer should be stored clean and dry. Make sure to avoid mold by leaving the door slightly open. This allows for air to circulate while the appliances are in storage. For other appliances, the doors should be closed. Use carton boxes will help you arrange them more easily. It will prove useful to label all boxes with rooms in which the items belong. You can use a simple marker for this, and make sure that it is visible. You can then keep with you a list of the boxes and their content so that you know what you’ve locked up in storage. Digital storage NJ – which is basically enabling your clients to manage their storage online. And this provides a great plus for those storage units Bergen County located a bit farther from the center. 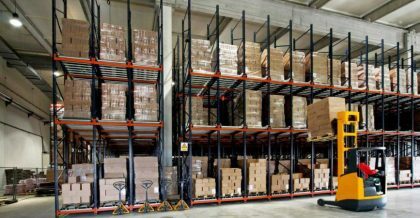 Proper storage equipment – dollies and hand-trucks – which is another great way of helping clients not have to carry their items throughout the facility. Drive-up loading docks – once again, the focus is making the storage experience as easy as possible for the customer. 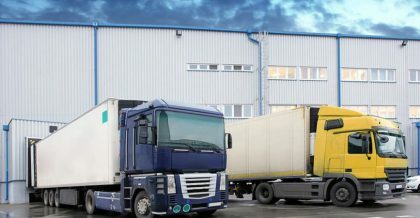 Why are storage facilities NJ Transport provide the top choice for you? Simply put, because we have it all. Our storage facilities NJ are affordable, secure and climate-controlled. We employ only the most qualified and best people in the moving industry. The equipment we use is top-quality. We provide you with free storage for the first 30 days. We offer packing & crating services NJ. Basically, we will handle every single step of the process – from packing and transportation, to securing the cargo and keeping it safe. And once you decide you want the items, we ensure that they are delivered and unpacked at your convenience. All that, just a phone call away – sounds like a pretty good deal to us!